The Estuary Working Group is made up of representative from over 10 stakeholder groups lead by Project Watershed. Project Watershed and the Estuary Working Group is in full support of Nancy Greene’s Archaeological Study on the ancient fish traps in the Estuary. We are hoping that this study will help provide the basis for a bid for National Historic Status. A National Historic Site Committee with representatives from K’ómoks First Nation, Project Watershed, local governments, and the business community has been established to work on the process of obtaining this status for the archaeological treasures in our Estuary. Mrs.Greene’s paper was published in December 2015 and is available in the first link below. 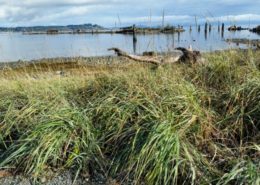 The Estuary Working Group plans to do much planting of eelgrass and restoration of salt marsh as part of its recent Blue Carbon initiative. Blue Carbon is the carbon sequestered by ocean plants which is estimated to be anywhere from 5 to 10 times more efficient than sequestration by forests. We started eelgrass planting in 2010 – we did a small pilot project north of the Royston Wrecks and planted 300 shoots with divers and shore volunteers. Recent surveys show that this planting has been a major success with more than a 300% increase in plants! Since then we have done many other plantings including a project with the Department of Defense where we planted over 2400 shoots! 2014 will be the first year we do salt marsh plantings. We are starting with a pilot project to plant 600 square meters also in the Royston Wreck area. Salt marsh planting is a little more complicated than eelgrass planting. One reason is that many of the salt marsh areas have been inundated with Spartina patens an invasive species that we will need to remove and replace with native species. 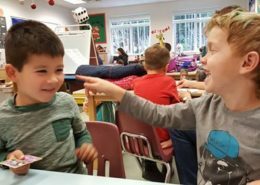 Click here for articles that chronicle our successes so far. Courtenay Airpark Lagoon Breach Project Underway! There are flap gates under the dyke road near the Rotary Viewing Stand. A study was under taken to see if these could be adjusted to optimize fish access and habitat. 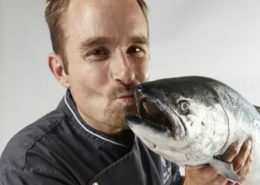 This study to investigate the rearing of juvenile salmonids in the K’ómoks Estuary was undertaken by Project Watershed and Lora Tryon with funding from BC Hydro’s Fish and Wildlife Compensation Program. The report, map and lists of restoration and protection options are available below. Through Project Watershed’s Mapping Centre the Estuary Working Group takes on mapping projects to gather and view estuary information. Visit our Estuary Map page to view the maps listed below. Project Watershed, in partnership with other community groups and government agencies, is developing an online interactive map. 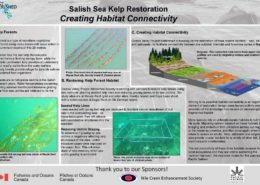 This map aims to be the hub for ecological, historical and recreational information relating to the Estuary for residents, tourists, environmentalists, recreationalists,students and more! 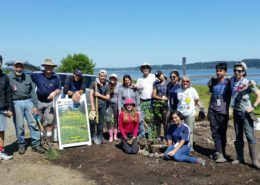 The Keeping It Living Awareness Campaign is run every year to raise awareness and funds for our Estuary Projects. It consists of an art auction and competition and celebratory estuary event(s). Details for the 2014 Campaign can be found on our Keeping It Living page. 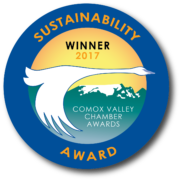 The Comox Valley Regional District took the lead in revising the Courtenay River Management Plan (CREMP) in 2009. The Estuary Working Group along with other stakeholders such as Fisheries and Oceans Canada, Ministry of Transportation, K’omoks First Nation etc… worked together to revise the document. 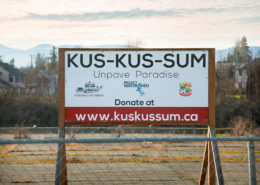 Project Watershed and the Comox Valley Regional District are now calling the Courtenay River Estuary the K’omoks Estuary in honor of the K’omoks First Nation and so the CREMP has become the KEMP. A second draft has been prepared and is awaiting final edits. Once the final draft is produced we will be working towards its adoption and implementation by local, provincial and federal governments. Below are links to articles about this process. This project is part of our Blue Carbon initiative. 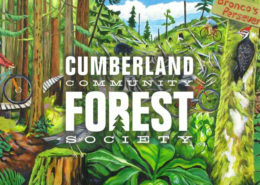 Cumberland Forest and Friends Raise $5300 for Kus-kus-sum! 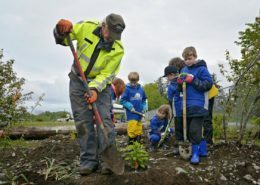 https://projectwatershed.ca/wp-content/uploads/2018/04/CCFS-stream-banner-2.jpg 467 1400 Caila Holbrook https://projectwatershed.ca/wp-content/uploads/2016/10/PWLogoMainTransparent-300x180.png Caila Holbrook2018-04-09 14:08:272018-04-10 09:48:01Cumberland Forest and Friends Raise $5300 for Kus-kus-sum!